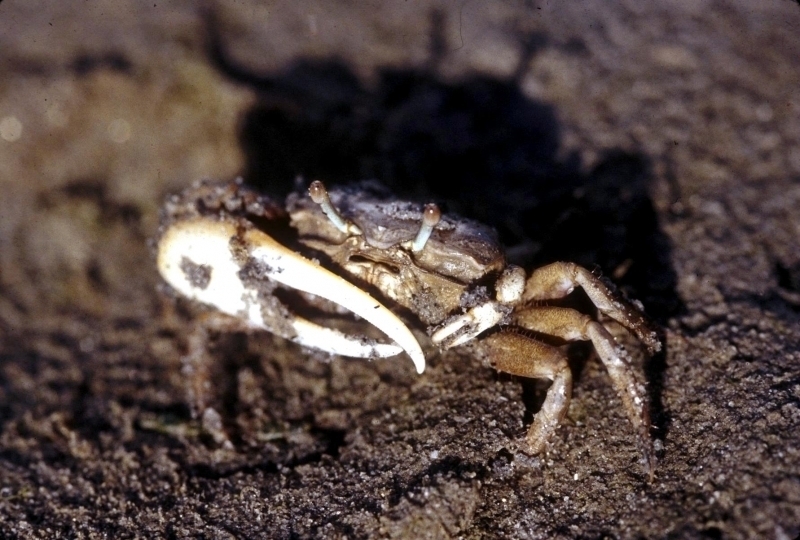 Fiddler Crabs are named because of the extreme difference in the size of the claws of the male with the larger claw resembling a fiddle. 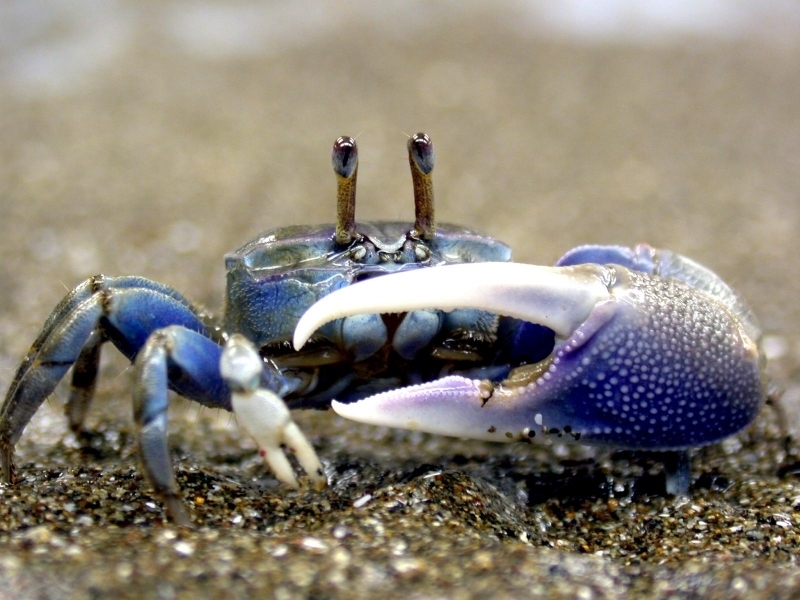 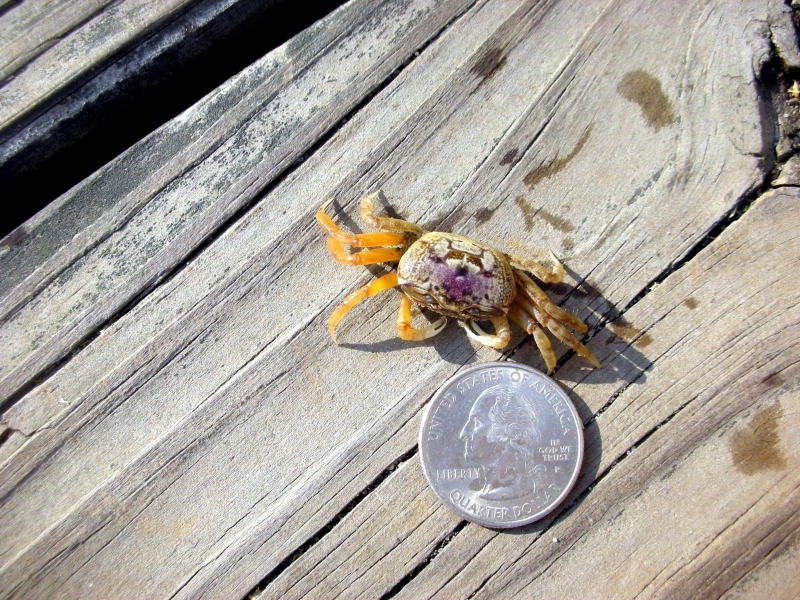 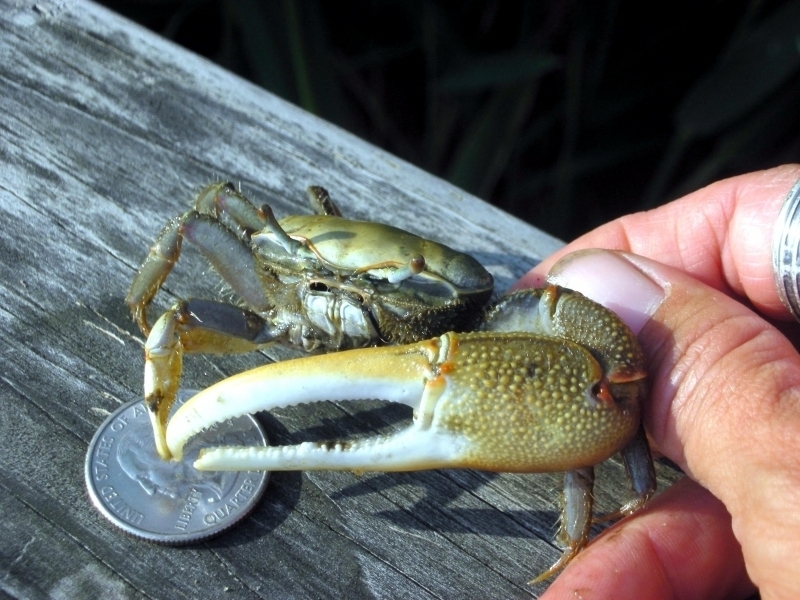 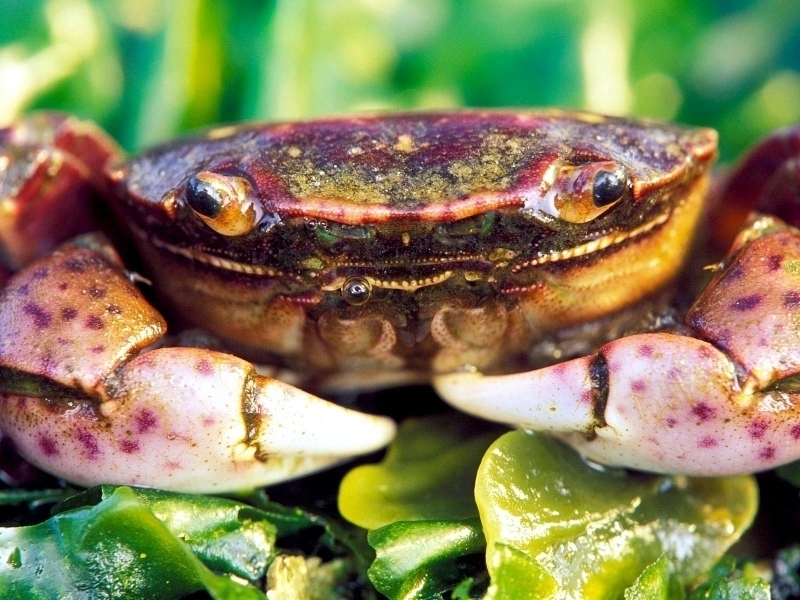 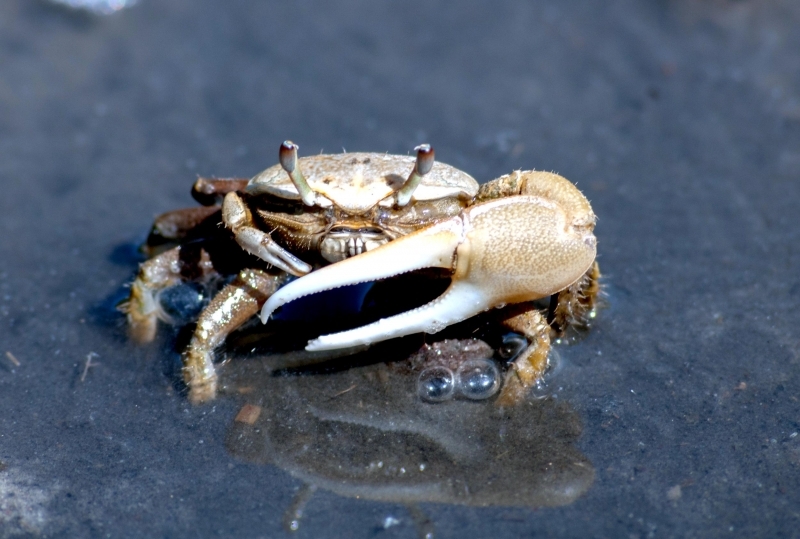 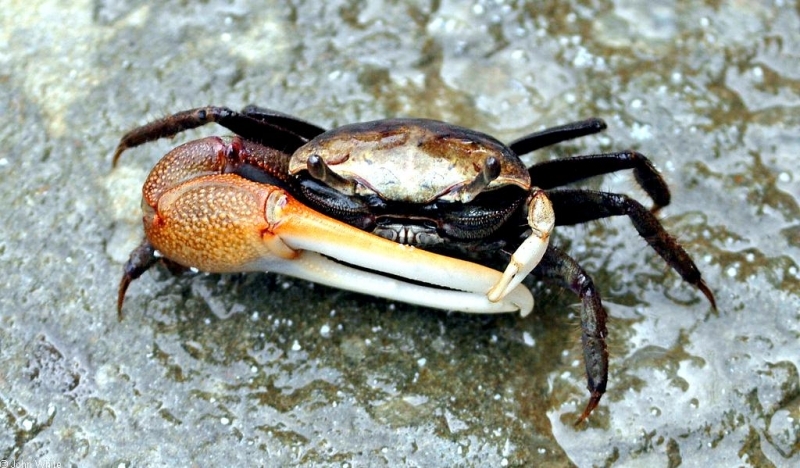 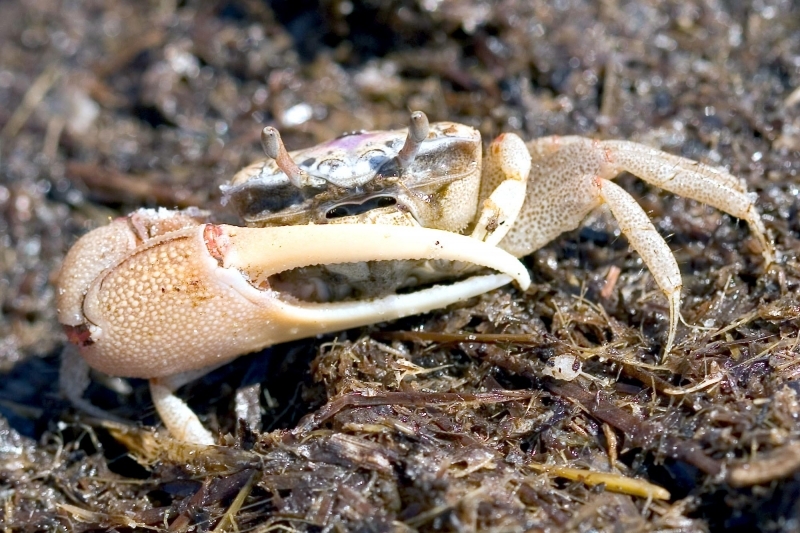 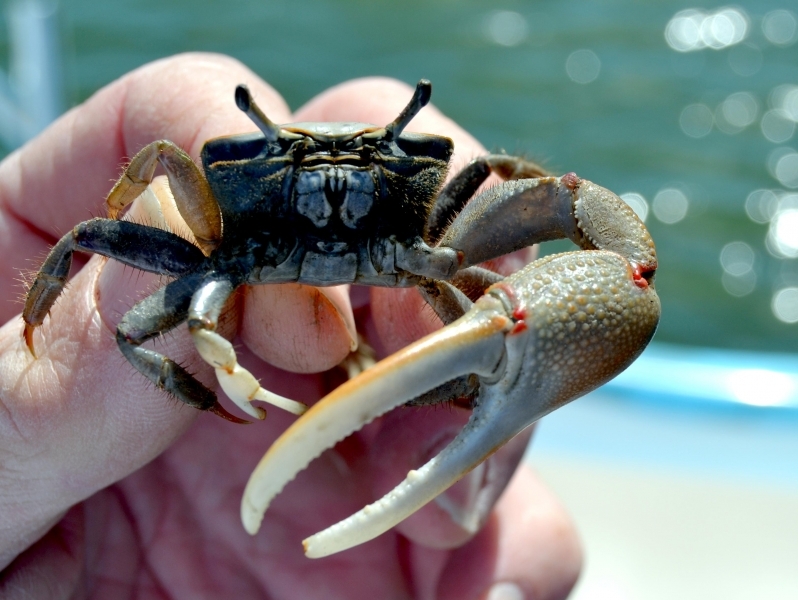 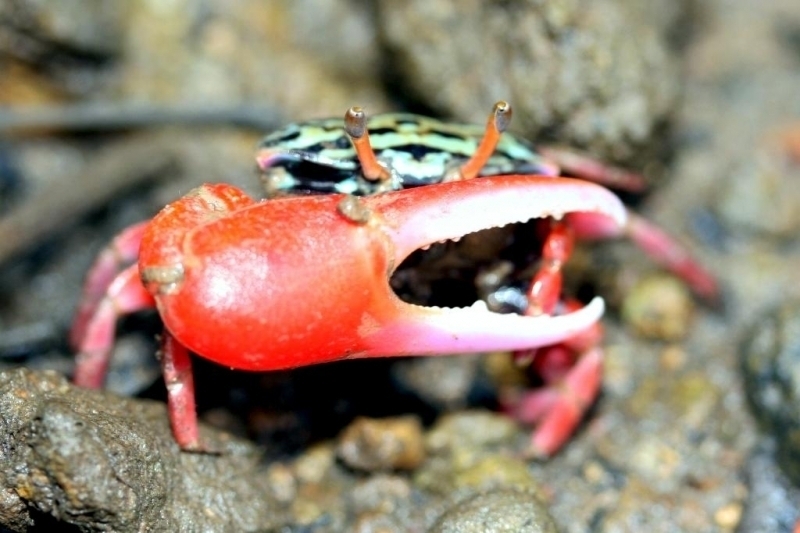 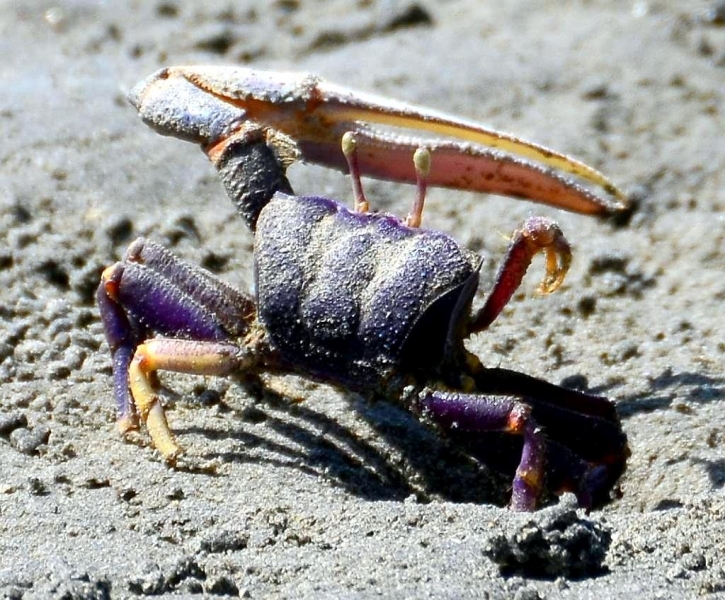 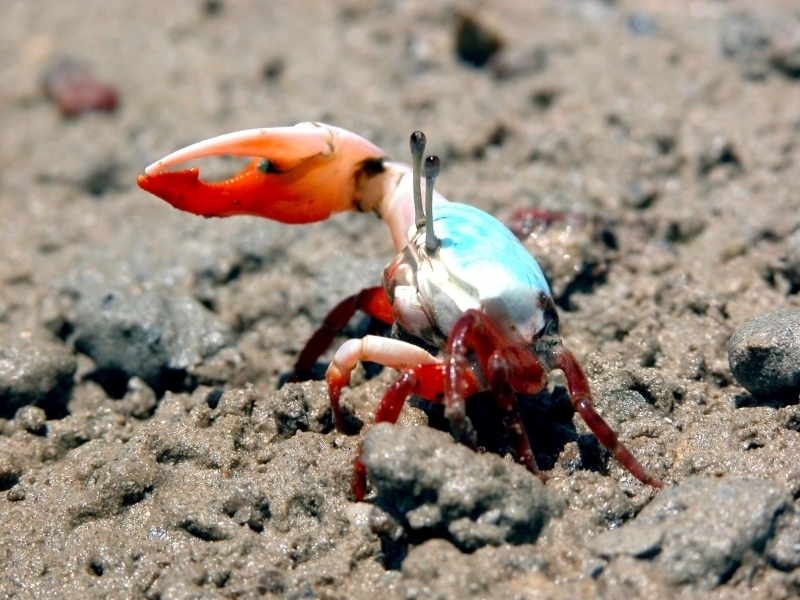 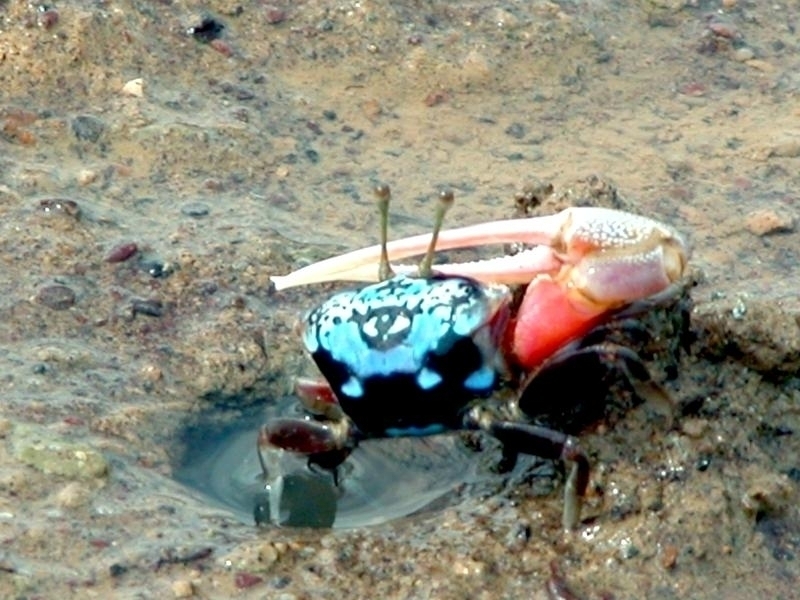 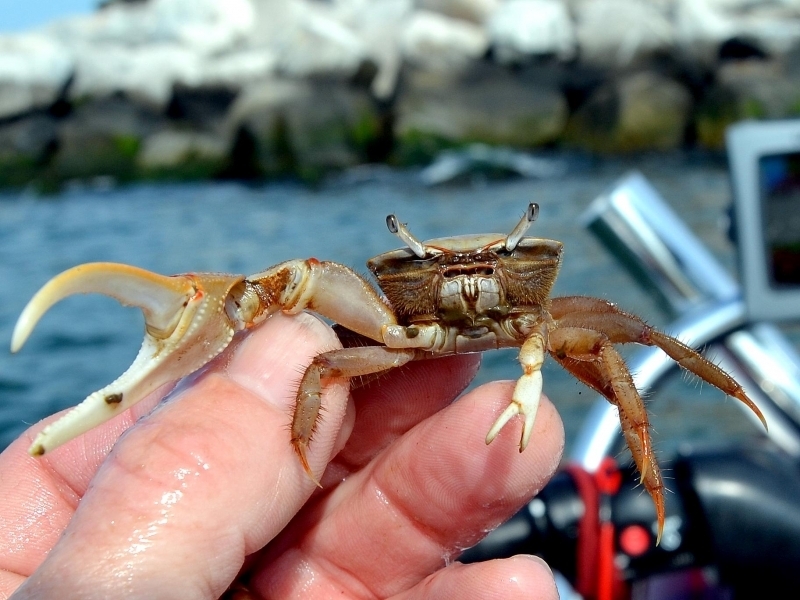 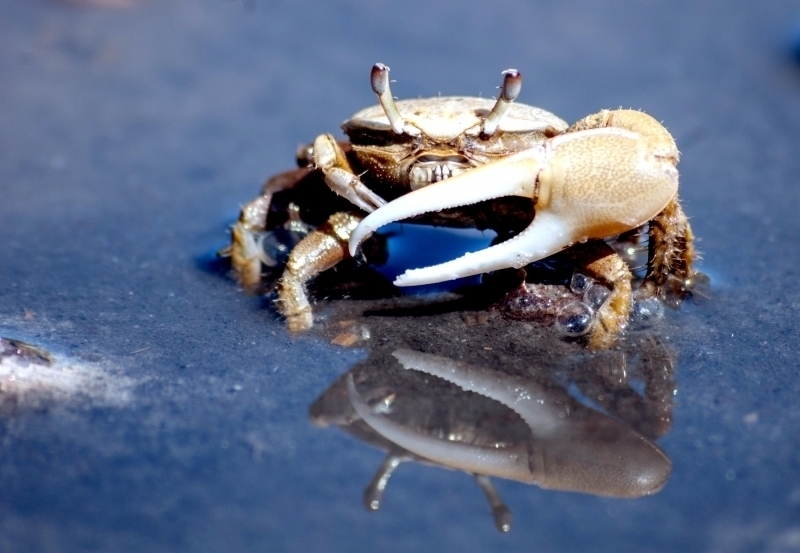 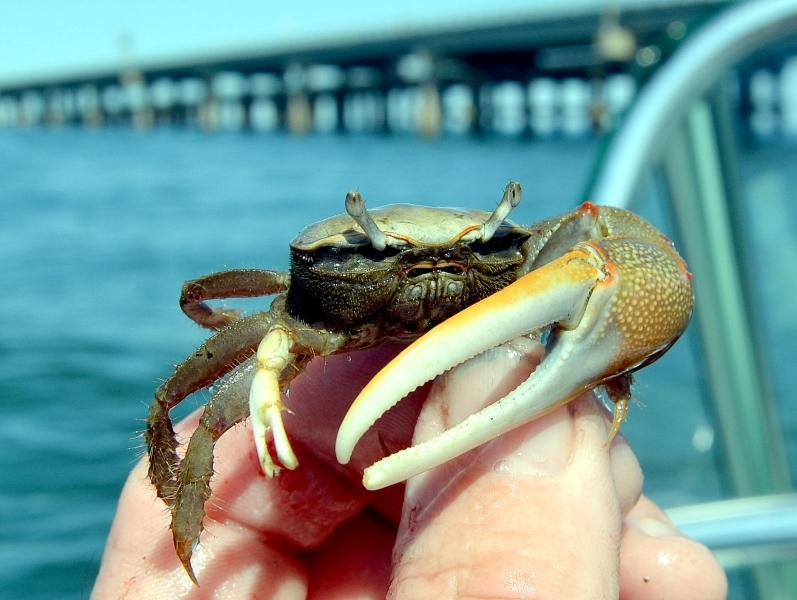 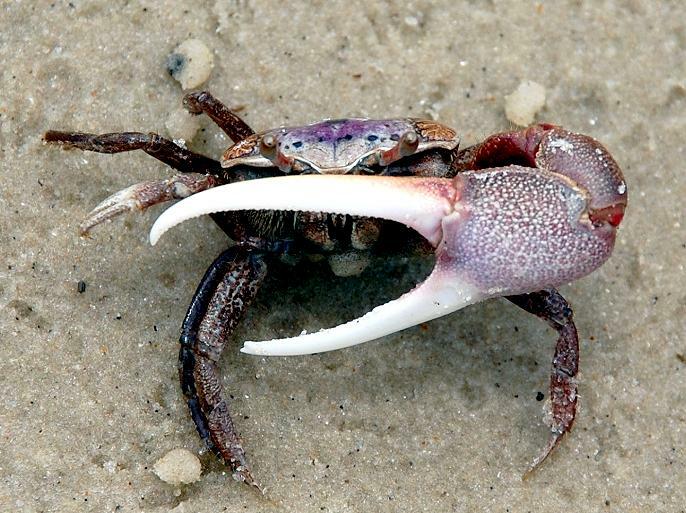 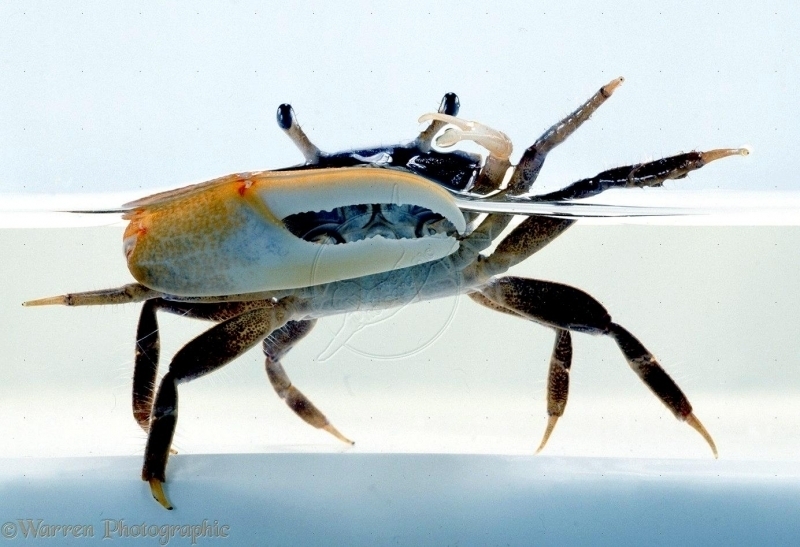 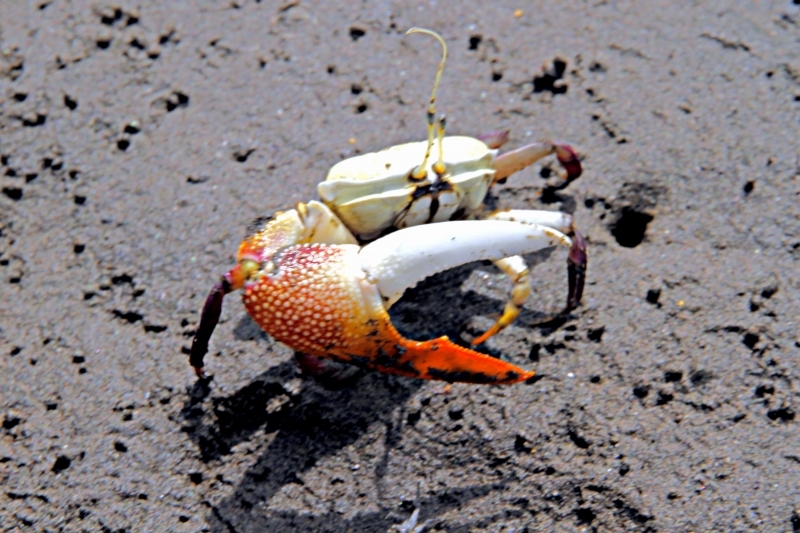 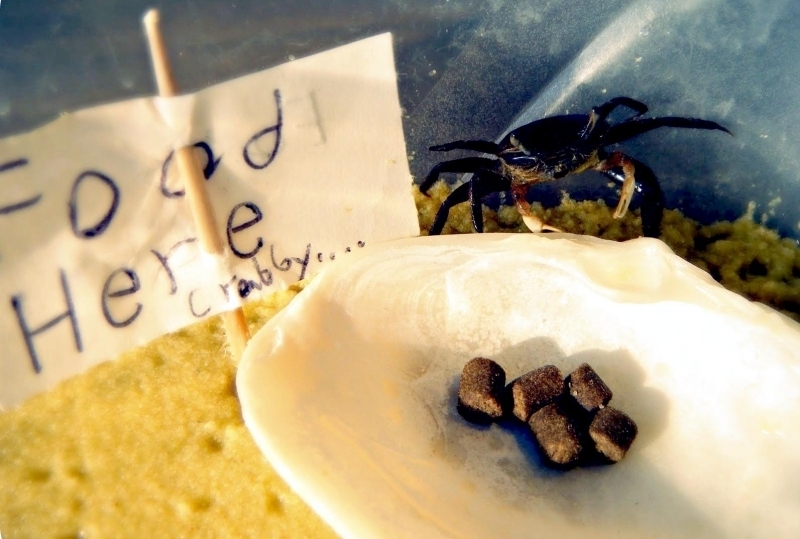 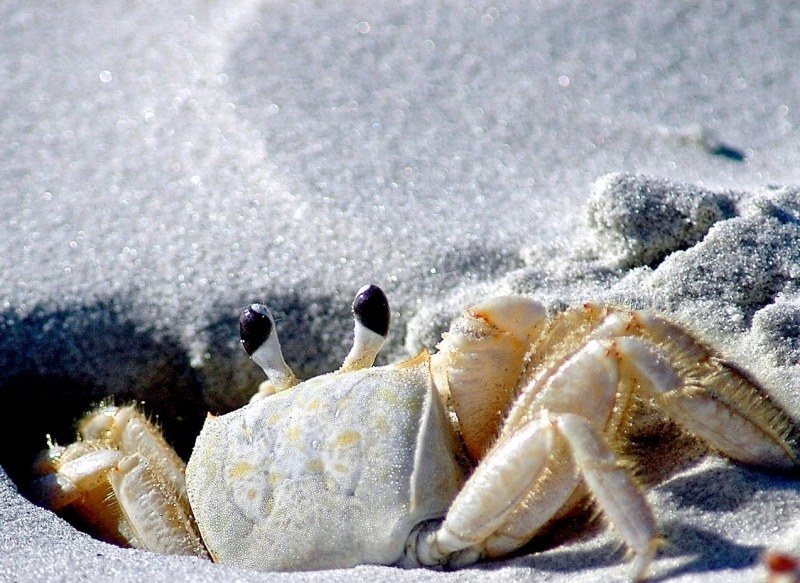 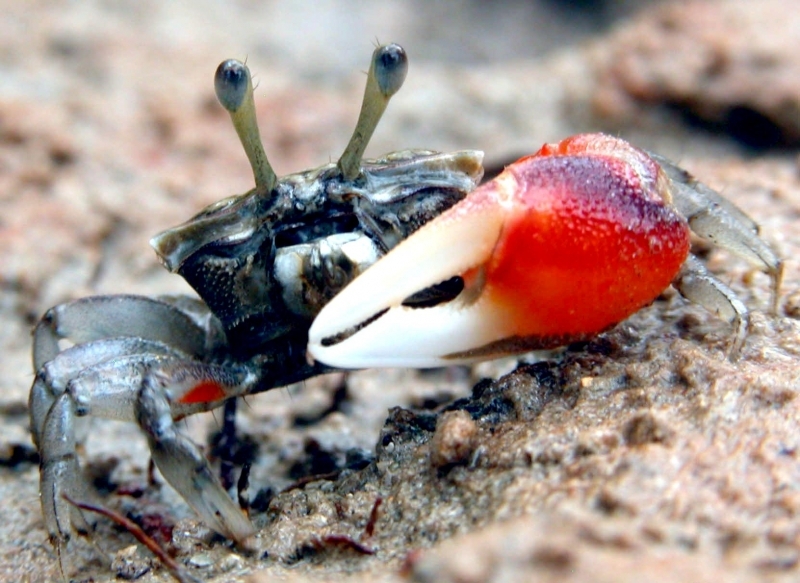 All Fiddler Crabs are similar in shape, having a smooth carapace and a square-shaped body. 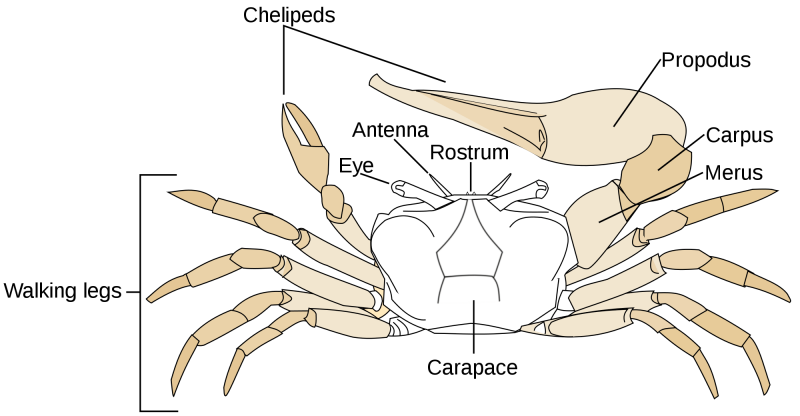 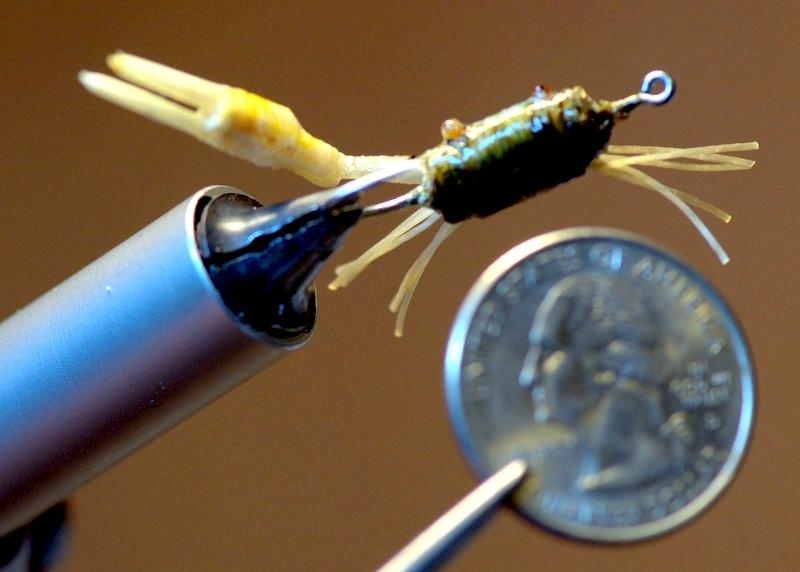 The eyes are located at the end of 2 long and slender, movable eye stalks located in the center of the carapace. 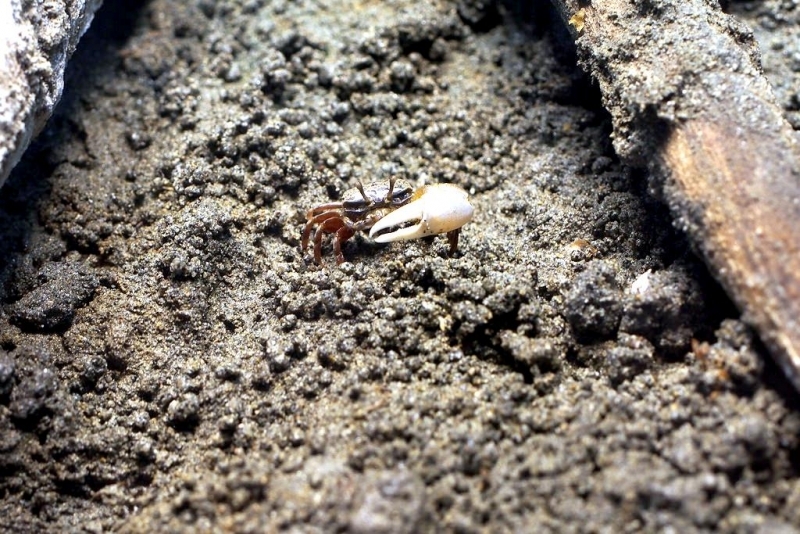 Fiddler Crabs are the little crabs found living in burrows near the water’s edge. 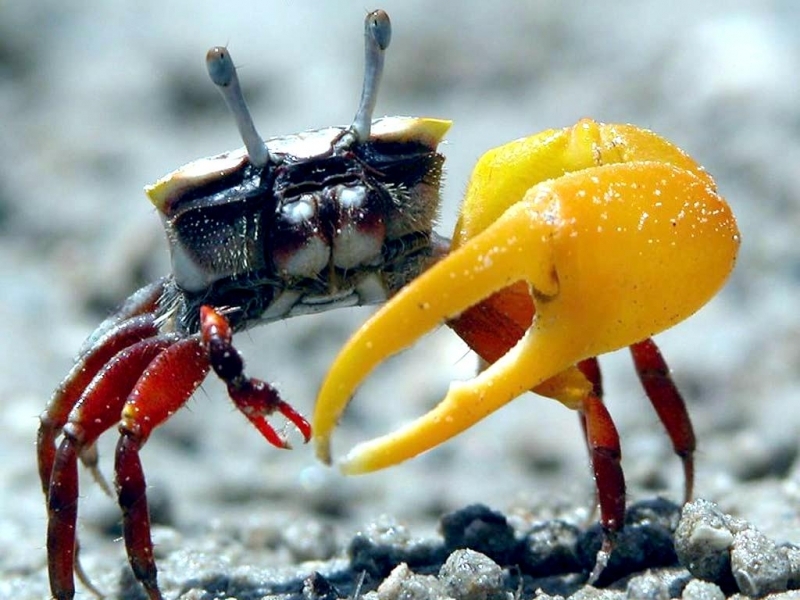 The large 2nd claw of the male is known as a secondary sexual characteristic and is used to attract a mate during the breeding season as well as to protect territories. 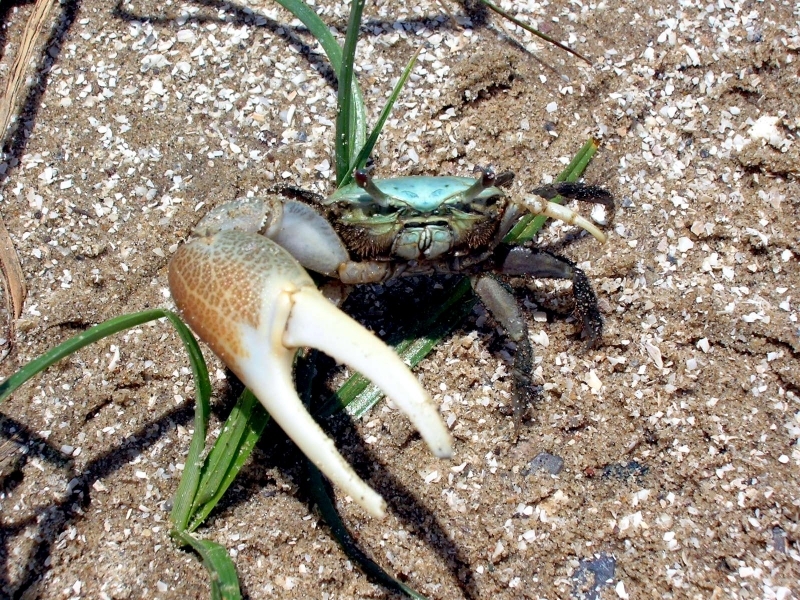 The male crab will stand by the entrance to the burrow waving the larger claw in an effort to attract a female. 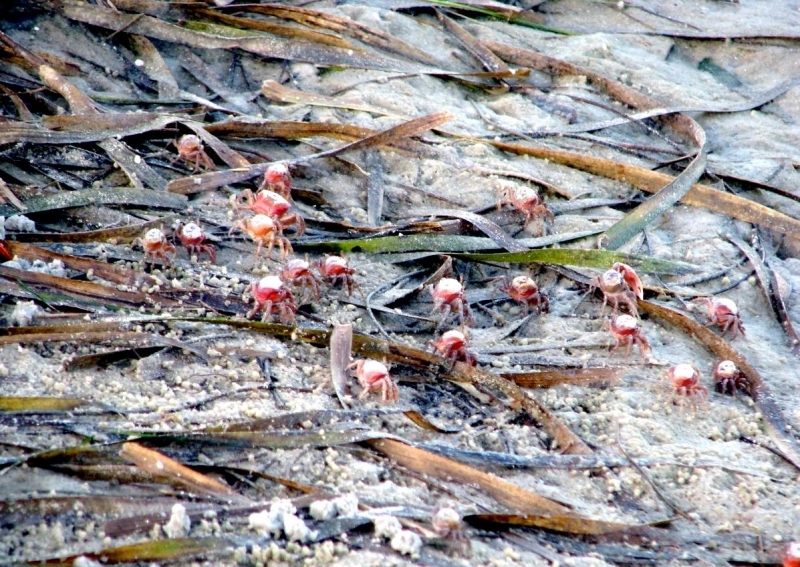 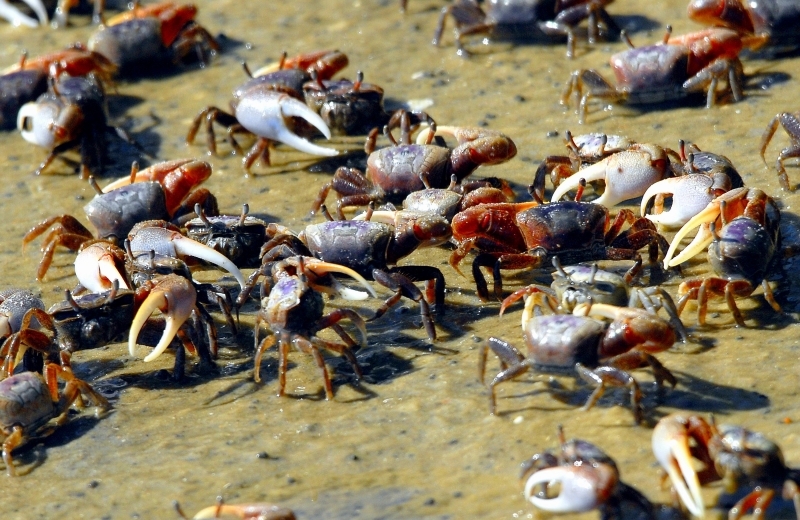 Fiddler Crabs are colonial, often living together in large clusters. 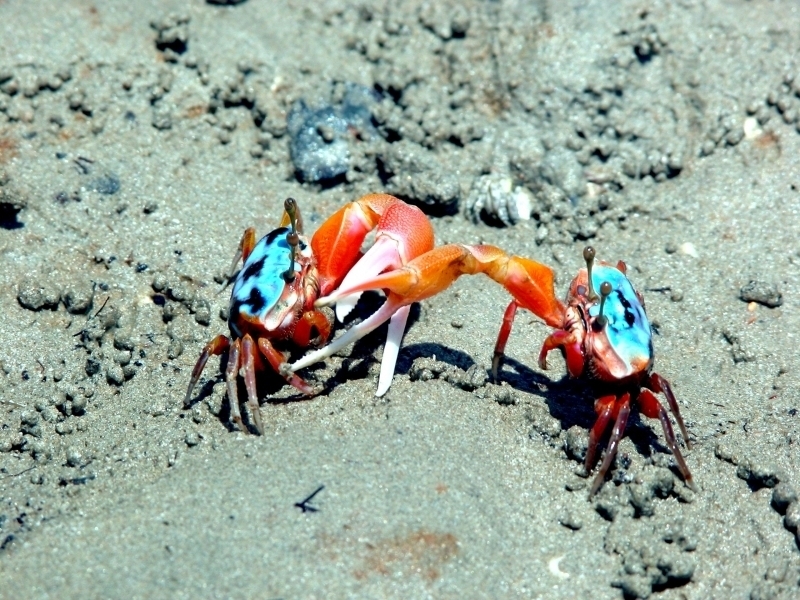 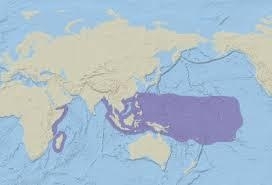 Territorial fighting occurs between the males and they will go to extremes to defend their burrows. 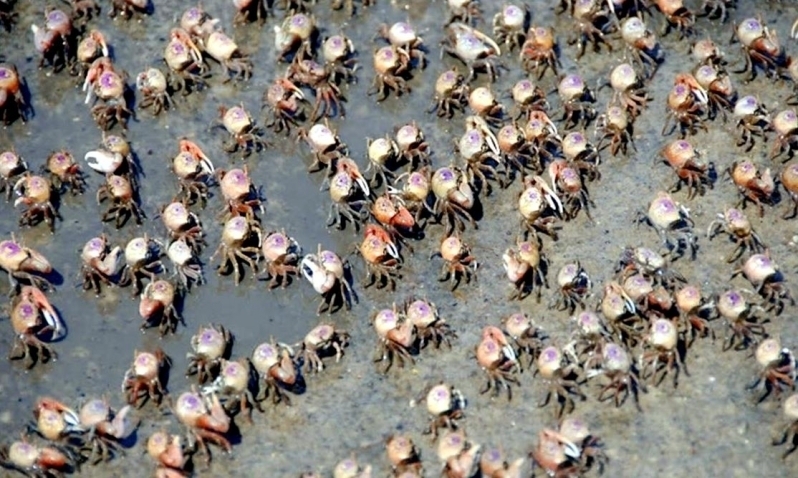 Despite their fighting, they travel in groups of thousands when feeding. 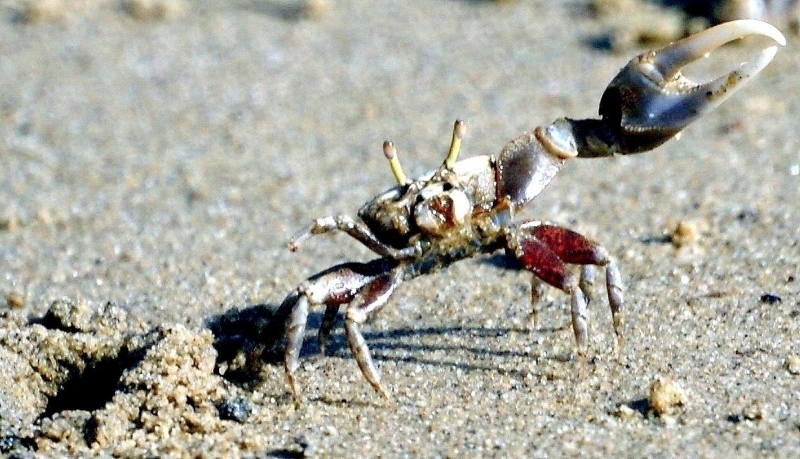 They live in long, slanting burrows up to 3 feet long that they dig with their walking legs. 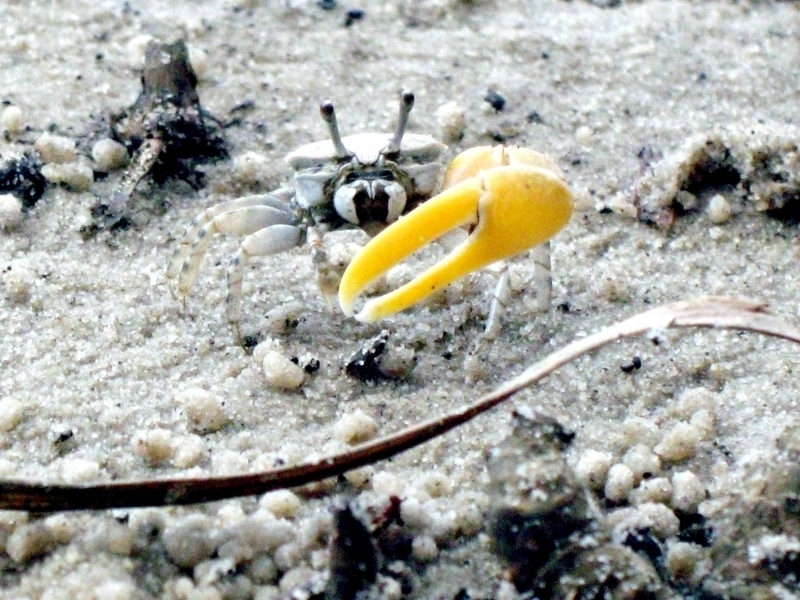 The Fiddler Crab will plug the entrance when the tide rises and will emerge from the burrow after a receding tide to feed. 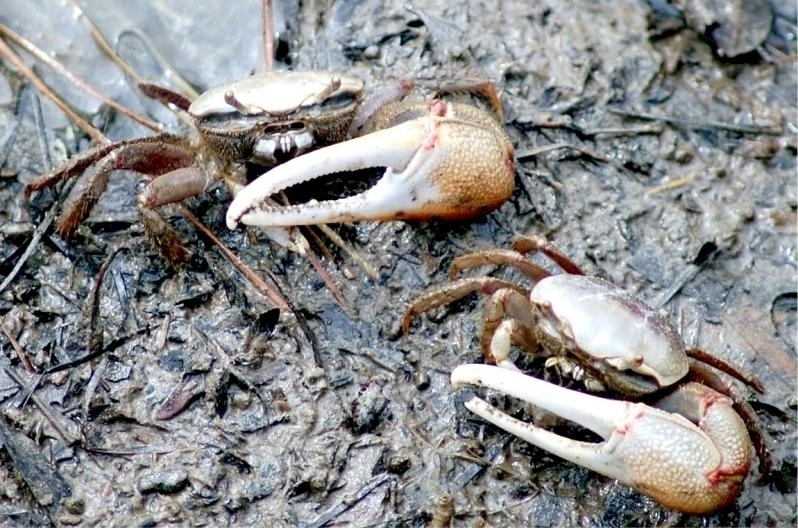 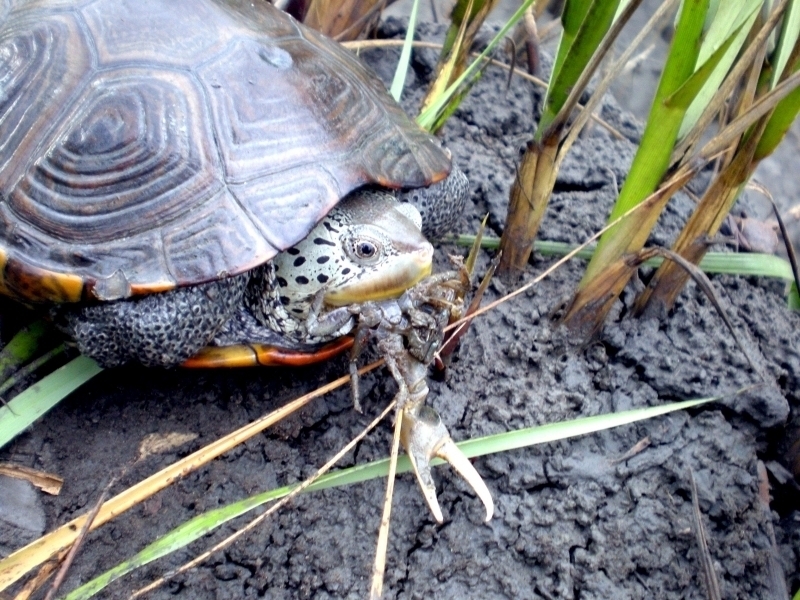 They feed on decaying plant material present in salt marsh mud & sediment. 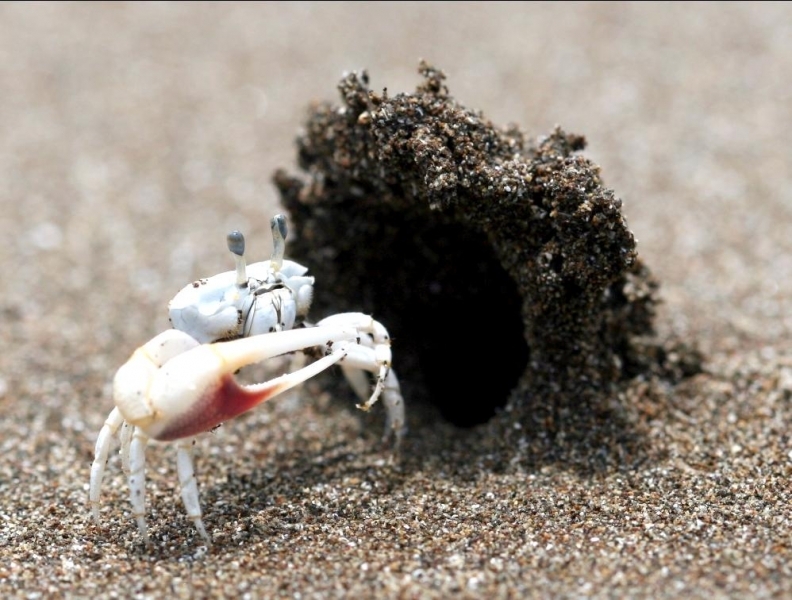 They remain in their burrows throughout the winter months. 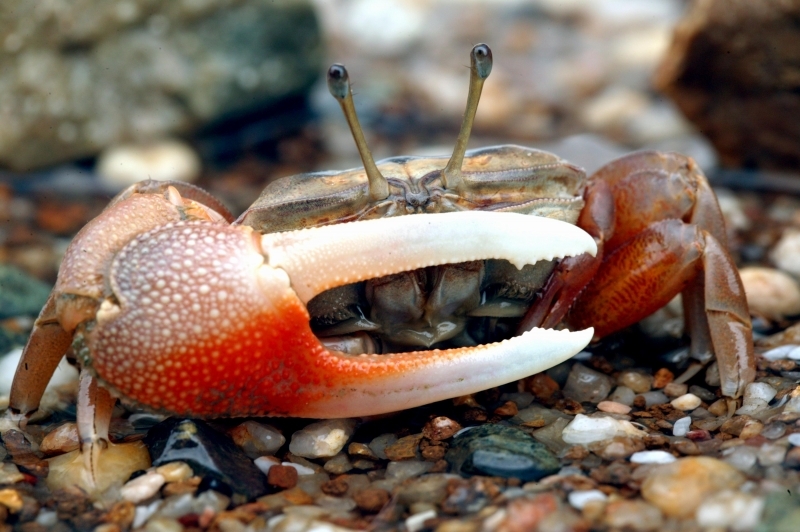 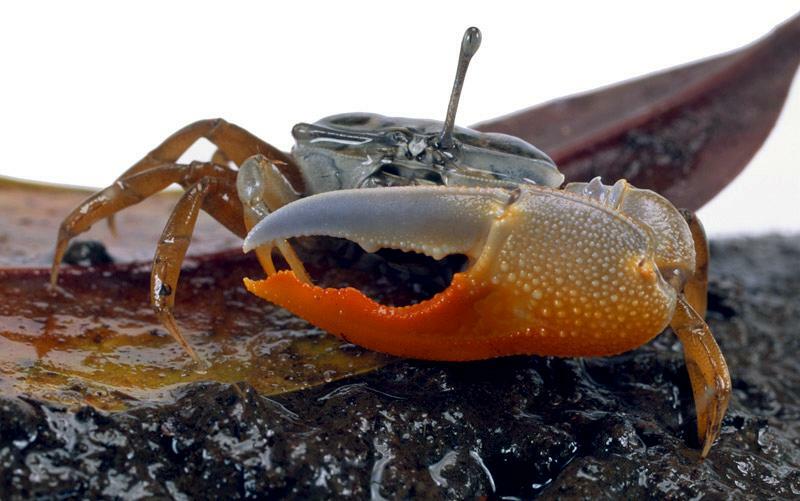 The Fiddler Crab can stay out of the water in damp ground for months at a time. 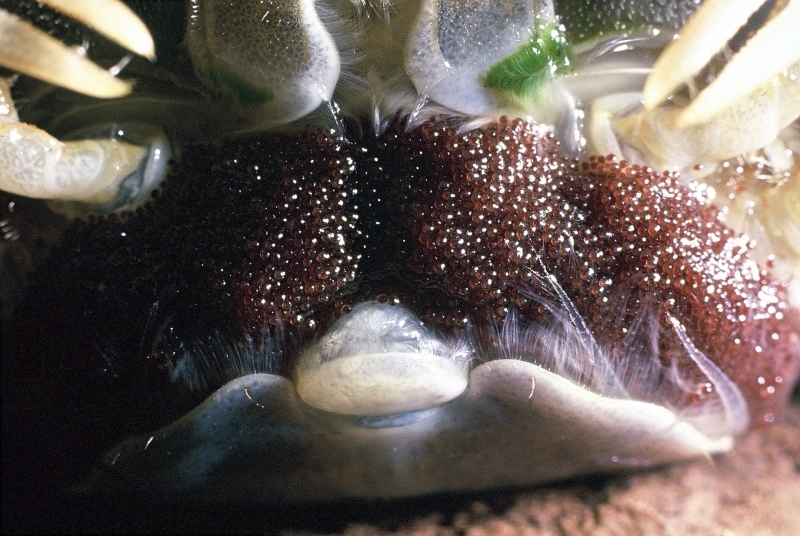 They have gills for breathing in the water but they also have a primitive lung, which enables them to live on land. 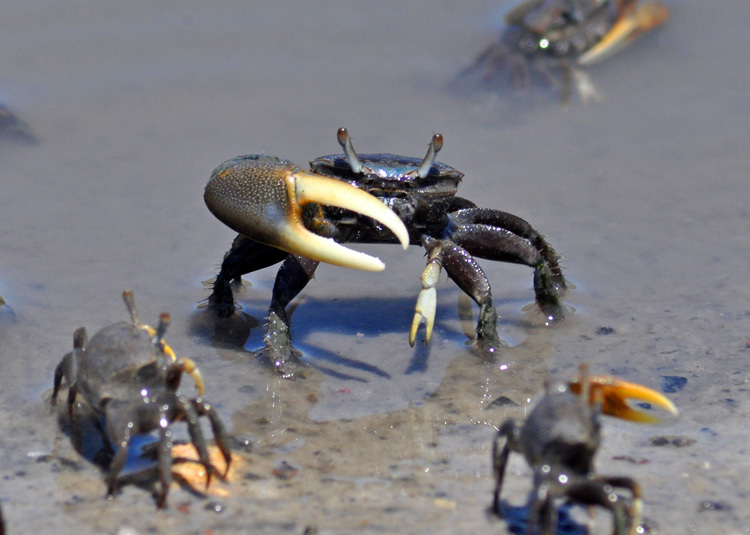 Fiddler Crabs play a vital role in salt-marsh ecology because their feeding & burrowing helps keep marshes clean and helps them to grow. 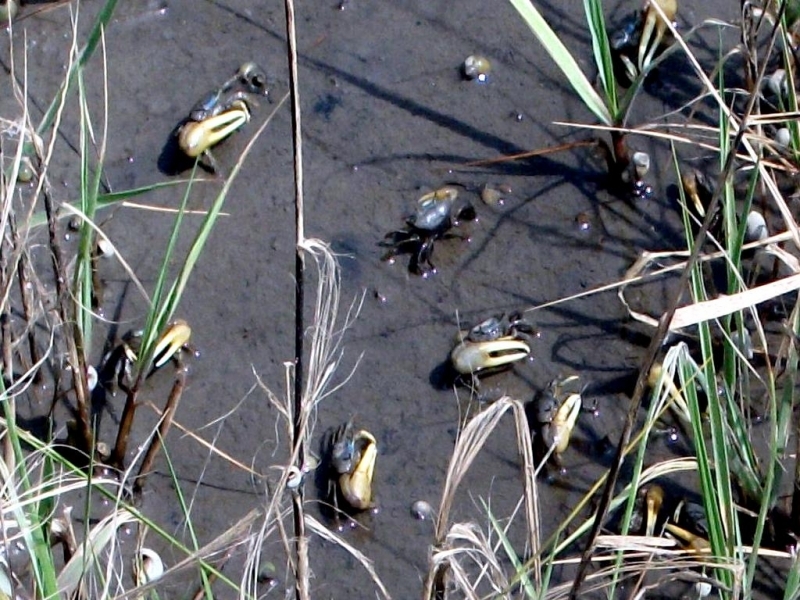 The many long, hollow burrows of a Fiddler Crab community help aerate the sediment of the marsh.